Cynthia began her career as an attorney and public affairs consultant to help clients succeed in land development, land use contracts, land management, real estate development, environmental permitting and administrative approvals for national, state and local projects. 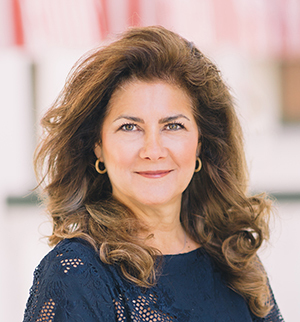 Having more than 14 years of experience in these arenas, Cynthia was recruited and appointed by Governor Jeb Bush to serve as the Secretary of Department of Business and Professional Regulation and the Secretary of the Department of Management Services. During this time Cynthia’s was tasked with implementing two gargantuan online programs where she was successful in passing legislation and negotiating contracts to initiate People First and My Florida Marketplace. She also created integrated online licensing and phone systems to help implement and execute these programs. In the midst of these priority-driven projects, Cynthia was running daily state agency functions, managing multi-million dollar budgets for each agency as well as thousands of staff members. Cynthia incorporated Cynergy in 2003. She has been successfully gaining clients based on her vast expertise and her ongoing and growing relationships with both the executive and the legislative branches of government. She is a Florida Bar Attorney, Florida Real Estate Agent, Florida Real Estate Broker, and was licensed Legal Insurance Agent with Florida Department of Financial Services. Most recently, Lauren Whritenour was highlighted as one of the top 30 under 30 rising stars in Florida politics. Lauren graduated Florida State University’s in 2014 with a Bachelor's of Science degree in English and Political Science. She married her husband, Jeff Whritenour, in November 2018. They have a son together named Parker. Lauren has been active in political events, fund raising and surrounded by the legislative process for more than 10 years. She’s worked on campaigns for high profile candidates such as: Jeb Bush, Mitt Romney, Rick Scott, Mary Thomas, Steve Southerland and Jim Messer. In 2015, she officially joined Cynergy in a fulltime capacity and wears many hats for this forward-thinking organization. During committee weeks and legislative session, Lauren on top of lobbying key client issues, she manages office staff, handles legislative tracking and meeting logistics, client meetings and event planning, legislative calendars, legislative data tracking systems and client reporting for the firm. Lauren has worked on legislative and rulemaking issues concerning subject areas like: pari-mutuel wagering, online procurements, water issues, trade secrets for business entities, rule-making for assisted living facilities, health care/Medicaid and licensing with the executive branch. During the off-session months, Lauren works on state agency and executive branch issues to make sure they align with client goals. 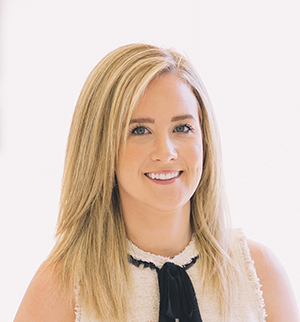 Lauren is the glue that holds together this multi-faceted firm which even includes a real estate and property management arm that she manages as well.